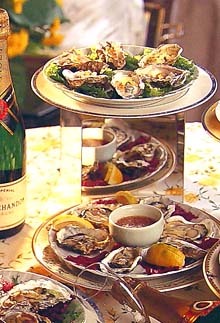 Sofitel Ambassador Seoul presents a special promotion "Oyster Festival" at its buffet restaurant, King's. With plenty of vitamin C & E and calcium, oyster is a health delicacy especially for women. Offer: Free 'Guinness' black beer or soft drink with online reservation.